When you rent an apartment, there’s a good chance you’ll receive your keys on a tag like this. And printed on the opposite face of this tag is your building name and room number. Its convenience makes it very tempting to just use the key as it is, but I would suggest you keep this at home and get your own key chain. The reason is fairly simple. 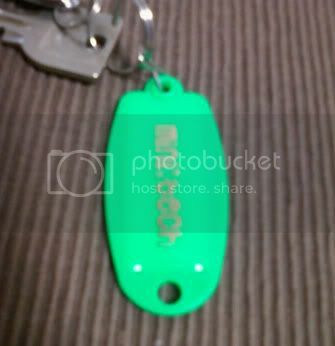 If you use this tag, in the event you lose your key, it’d probably do you well to hire a police officer to guard your room 24/7 because the finder would know exactly which room the key unlocks and may very well sneak into your apartment while you’re not around. Obviously not to shoot paint balls at your cushion (it’s a Big Bang Theory joke). While the honesty of the Japanese marvels the world (which I myself have witnessed on multiple occasions), I’d like to quote a tagline from back home, “low crime doesn’t mean no crime”. This may be a small thing to be writing about, but I think it can save you a lot of trouble and money.